The Peoples Democratic Party, PDP, on Thursday accused the Independent National Electoral Commissioner, INEC, National Commissioner in charge of Operations, Amina Zakari and two directors of the commission of plotting to rig the July 14 governorship election in Ekiti State. PDP claimed that Zakari and the two directors, Mr. Pascal Uwakwe, in charge of Information and Communication Technology, ICT, and one Mr. Abdulrasaq Agboola were plotting to rig the election in favour of the candidate of the All Progressives Congress, APC, Kayode Fayemi. A statement by PDP’s spokesperson, Kola Ologbondiyan alleged that the INEC officials were working in conjuction with the Ondo State Governor, Rotimi Akeredolu. Ologbondiyan alleged that INEC officials were plotting to preload card readers with false results through E-Collation. The statement reads, “Investigation reveals that two INEC directors: Mr. Pascal Uwakwe, in charge of Information and Communication Technology (ICT) and one Mr. Abdulrasaq Agboola have been holding meetings with the APC candidate, Dr. Kayode Fayemi and Ondo state Governor Rotimi Akeredolu to perfect their plot to rig the election. 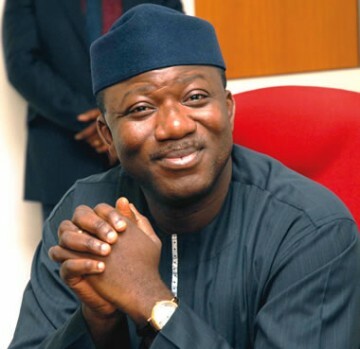 “The PDP has been fully made aware of how the INEC directors have been meeting with Fayemi, Gov. Akeredolu and other APC leaders at the Ondo state Government House, Akure, in the last three weeks, on the directives of Mrs. Zakari, as well as details of their plot to manipulate the process and rig the election for the APC. “The party is also privy of the game plan of the APC to use INEC’s ICT Department to preload card readers and input false results through E-Collation while also using different sets of Forms EC8A to enter fake results in over 503 polling units to authenticate the fake E-collation results. “The PDP wants Nigerians to note these INEC’s clandestine activities, particularly those of Mrs. Zakari, who is fast earning notoriety in election rigging, as well as the manipulations going on under Prof. Mahmood Yakubu, who appears helpless in the face of the machination of the commissioners and directors of the Commission. “Meanwhile, this same Amina Zakari was reportedly sighted in Lagos last Wednesday where she allegedly held meeting with some top functionaries of the APC, including the party’s National Chairman, Adams Oshiomhole. “Further investigations revealed that Uwakwe, in particular, has been positioned to act as courier for huge sums of money to be paid to INEC staffers that will perpetrate the rigging. “The PDP, in no equivocal terms, therefore demands that Mrs. Zakari and her gang must not play any active role in the Ekiti election. She must stay away from Ekiti State as there is no way we can have a free, fair and credible election, with her in the process. “We also call on the international community as well as anti-graft agencies to be watchful of the sinister motives of Zakari and her collaborators in INEC ICT department, as well as others in the Operations unit.